Under Virginia law, “trespassing” and “breaking and entering” are very different crimes with equally different penalties, ranging from a small fine to years in jail. “Trespassing” and “breaking and entering” may sound like similar crimes, however, the Virginia code defines and penalizes them very differently. While trespassing counts as a misdemeanor in Virginia, breaking and entering is a felony which can result in huge fines and years in prison. In this article, we’ll go over the important differences between trespassing and breaking and entering. We’ll also talk about the various penalties the court can assign for each crime. 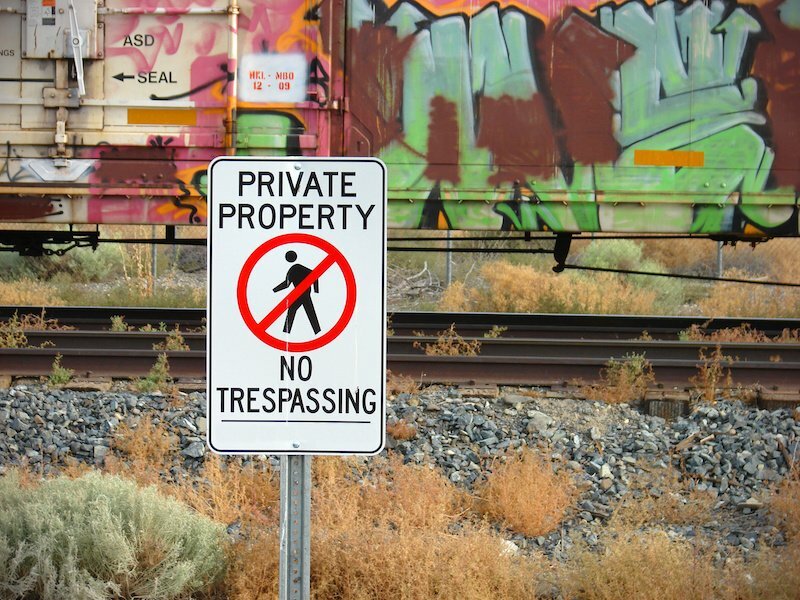 As a starting point, trespassing in Virginia can be either a civil or criminal matter, and sometimes qualifies as both. 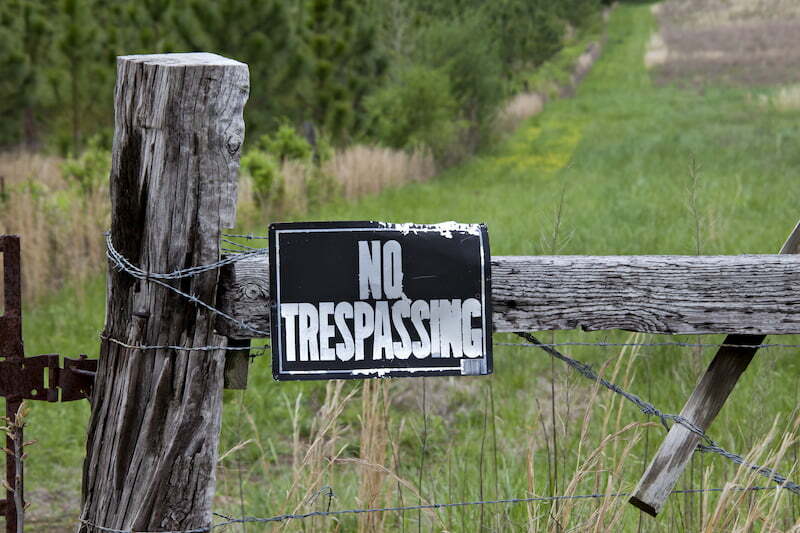 Who has the jurisdiction to enforce the trespassing laws? What are the resulting penalties for trespassing? 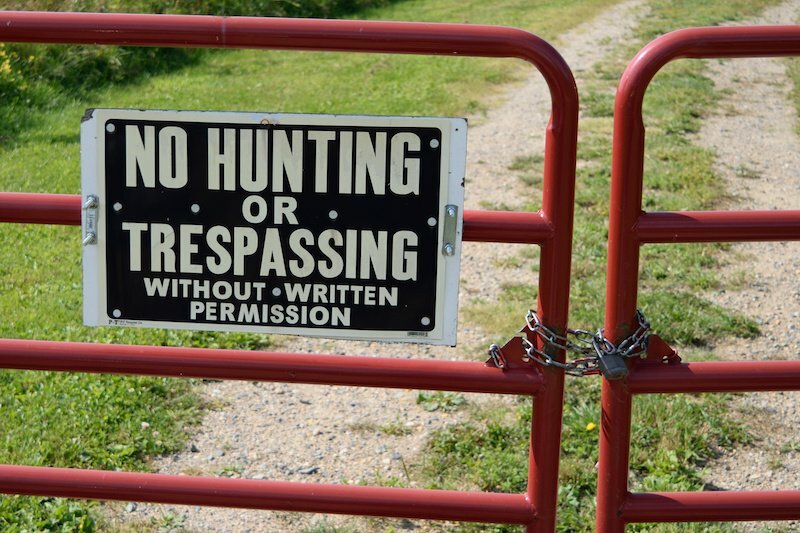 Virginia common law protects landowners from unauthorized entries onto their property. In certain cases, these instances of unauthorized entry can result in a civil trespass case. As with all civil cases, the important distinction here is whether or not the trespass resulted in “damages.” By damages, we mean any and all effects of the trespass that deprived you of the use of your land and property. For example, if someone wanders onto your land by accident, you probably won’t have a civil trespass case because they didn’t actually do anything to your land or property. On the other hand, if your neighbor builds a fence a few feet onto your land, they are committing civil trespass by depriving you of the use of that sectioned off land. Similarly, if someone comes onto your land to cut down some trees, that might also count as civil trespass under common law. This is because they are damaging the value of your land by removing property from it. Returning to the two major distinctions we noted above, you’ll have to take any and all civil trespass cases to court yourself and sue the other party for the monetary cost of these damages. If you call the police for a civil trespass, they’ll simply say that it’s a civil matter and tell you to contact the court. Put another way, the police won’t arrest someone for civil trespass. Instead, they’ll tell you to take the case to court yourself. We noted above that civil trespass happens when one party interferes with an owner’s use of their own land and property. However, in order for this action to be considered criminal, that owner must effectively forbid trespassing on their property in the first place. In essence, this law makes it illegal to remain on a property after the owner, custodian, or another similar party has forbidden it. This is the reason you’ll often see “no trespassing” signs around properties, as these signs make trespassing a criminal matter in addition to a civil one. In this way, an individual who wanders onto unmarked private property without criminal intent is not guilty of criminal trespassing. However, if the property is clearly marked with “no trespassing” signs, then they may end up with criminal trespassign charges. For this reason, criminal trespassing cases tend to focus on the issue of whether or not the property owner forbade the accused from entering before the actual trespass took place. Finally, note that trespassing is only a misdemeanor if you are unarmed and without criminal intent. If the police find evidence of criminal intent, you may instead face much more serious breaking and entering charges. As a Class 1 misdemeanor, criminal trespass is commonly punished with a sentence of up to 1 year in prison and a fine of up to $2,500. However, these penalties can change slightly based on the circumstances of the crime and the specific statute you’re charged under. For example, the Virginia Code specifically includes sections for trespass by computer, trespass with a spotlight, trespass with livestock and dogs, trespass at a cemetery at night, and trespass on many specific locations, such as churches, schools, and public utilities. You can even commit criminal trespass on a person’s vehicle or boat by entering or boarding the vehicle and refusing to leave. In this way, your strategy for fighting a criminal trespass charge, and the resulting penalties you should expect, can vary widely depending on the circumstances of your case. It’s actually relatively common for an individual to gain both a trespassing and disorderly conduct charge for a single event. For example, imagine if an intoxicated person ends up sitting on your porch and refuses to leave. In this scenario, they may end up with charges for trespassing, disorderly conduct, and public intoxication. Ultimately, it’s up to the judge to decide whether the evidence presented by the commonwealth supports the finding that the act committed counts as “disorderly” or not. In addition to the disorderly conduct pairing we mentioned above, there are also several other related and additional crimes that often appear in trespassing cases. Trespassing with the intent to damage property is a Class 1 misdemeanor. Actually damaging that property can be either a Class 1 misdemeanor or a Class 6 felony, depending on the value of the property. Hunting or fishing on another individual’s property is a Class 3 misdemeanor punishable by a fine of up to $500. Intentionally selecting a property to trespass upon based on the owner’s race, ethnicity, color, or religion is a Class 6 felony punishable by up to five years of prison time. The Code broadly defines burglary as the act of breaking into any dwelling, or vehicle used as a dwelling, with the intent to commit a crime. “Burglary” can also include several other, more specific acts such as robbing a bank while armed with a deadly weapon. 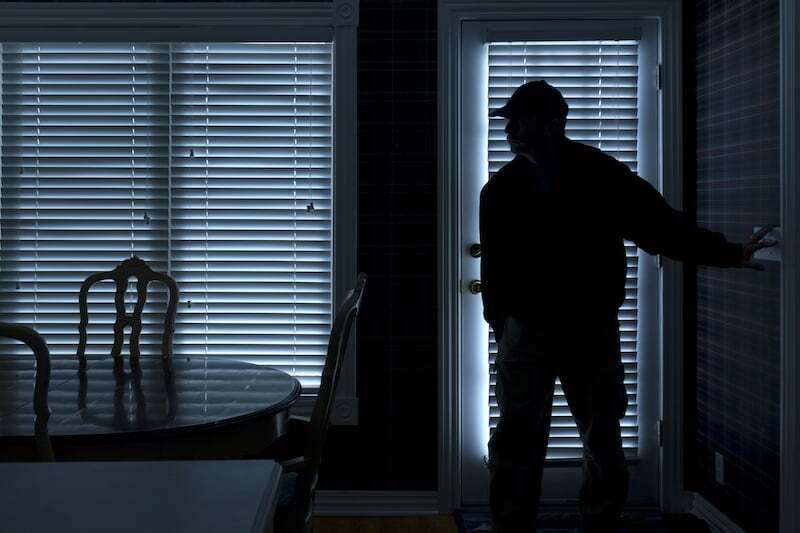 An important distinction is that the act of breaking and entering always refers to this specific burglary statute, regardless of whether the original intent was to commit a misdemeanor or a felony. The only difference lies in how they are punished. 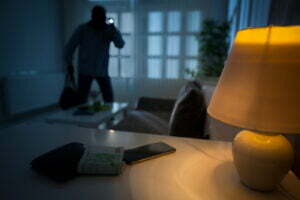 Under the burglary statute linked above, breaking and entering is often charged as either a Class 2 or Class 3 felony. Committing a felony act of breaking and entering while unarmed is a Class 3 felony. This means that it is punishable by up to twenty years in prison and a fine of up to $100,000. However, breaking and entering while armed is a Class 2 felony, which increases the punishable time to a minimum of 20 years and a maximum of life. Furthermore, “breaking and entering” charges are separate from, and in addition to, any other charges relating to the original crime. Unlawfully entering a dwelling with the intent to commit a misdemeanor is also a serious charge. Normally, doing so is a Class 6 felony punishable by one to five years in prison. However, under certain circumstances, the court may choose to lower the offense to a Class 1 misdemeanor. Note that even if the original crime was a misdemeanor (such as petty theft), if you are armed during this entry, the breaking and entering charge is still a Class 2 felony. This could result in a jail term of anywhere between 20 years and life in prison. As you can see, there’s a big difference in punishment for trespass and breaking and entering. For that reason, it’s important to contact a lawyer as soon as the state charges you with either crime. By hiring a lawyer who understands the intricacies of Virginia law, you’ll increase your chances winning your case, or reducing the charges and a arriving at a more favorable outcome in court. Can I Take My Service or Emotional Support Animal on a Plane?